In late January 2010, Minsi Trails Council received notice from the State of Pennsylvania that a grant was approved for more than $1.3-million for repairing and updating the Stillwater Lake Dam at Camp Minsi. 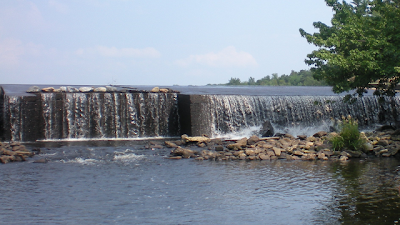 In 2002, Pennsylvania Department of Environmental Protection (DEP) reclassified the Stillwater Lake Dam as a “high hazard dam” and informed Minsi Trails Council that significant dam renovations were needed. Stillwater Lake is a Monroe County resource shared by Camp Minsi and Stillwater Lake Estates. The Council has an approved plan and construction timetable with the DEP and work on the dam will begin following the 2010 summer camp season. At that time, the lake will be drawn down for construction to begin. Construction will continue through the fall and will conclude by early winter so that the lake can refill for the 2011 camping season. A letter writing effort to our State legislators by 17,000 Scouts, volunteers, parents, and concerned citizens brought the issue of Stillwater Lake Dam to their attention. Through the hard work of our legislators the $1.3 million grant was approved and will fund nearly 70% of the project’s expected costs. Fundraising efforts will continue to help raise the roughly $450,000 amount remaining between the Pennsylvania State grant amount and projected repair costs. In May, 2008 the Council entered into a consent order and agreement with the DEP specifying a timetable to make the required dam repairs. The Council finalized engineering plans and completed the dam permit application in November 2009. Once the Dam Permit Application is approved by the DEP, construction is slated to begin in August, 2010 with completion by spring 2011. The dam renovation includes a new spillway, gate, and a 400 foot rollercompacted concrete dam. The project cost is estimated at nearly $2 million. On January 26, 2010 notification was received from the Commonwealth Finance Authority approving a grant of $1,312,500 through the H20 PA program for repair of the dam. Including funds already spent on the dam project, that leaves roughly $450,000 remaining to be raised for the repair work. Additional fundraising will take place in the local communities and municipalities that are served by Stillwater Lake and the Tunkhannock Creek watershed. While the dam construction needs to be completed and additional funding secured, obtaining the State grant was a huge step in saving Stillwater Lake. The letter writing campaign certainly helped make this possible, and we thank you for your efforts. Please be sure to thank your local State legislators for their help with this project. Future updates will be provided as the Stillwater Lake Dam construction progresses. Become an Aqua-Knot This Summer!